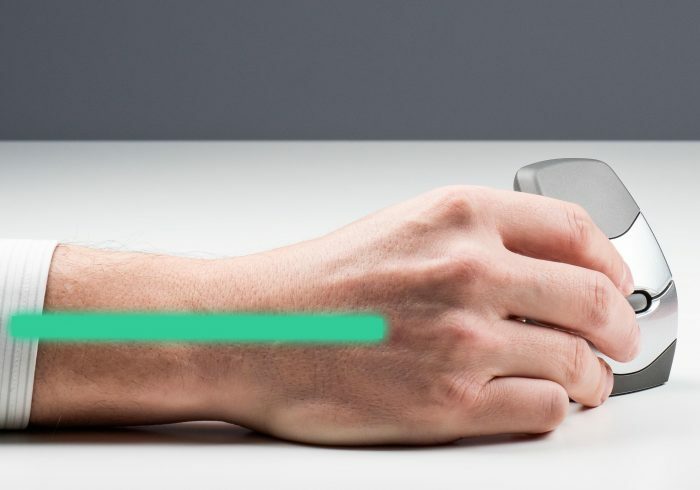 A conventional flat mouse forces the user to twist their hand palm-down and parallel to the work surface resulting in forearm pronation. Forearm pronation requires a “static load” which has been shown to cause muscle strains. Pronation can cause pain in the forearm and elbow which can lead to serious injuries. 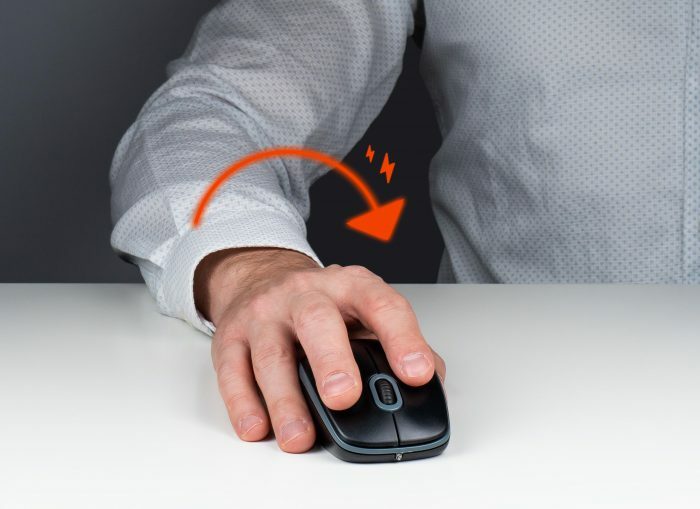 The DXT’s semi-vertical design allows the mouse to be held from a more natural and “functionally neutral” position with the hand gently resting on its side at an angle of 50˚ to 70˚. Studies show that most comfortable position for mouse operation is when the thumb is higher than the little finger (anywhere between 10˚ and 90˚of rotation). A conventional flat mouse requires a “static grip force” which engages the power-producing “extrinsic” flexor and extensor muscles of the forearm (aka “pinch grip” or “death grip”). 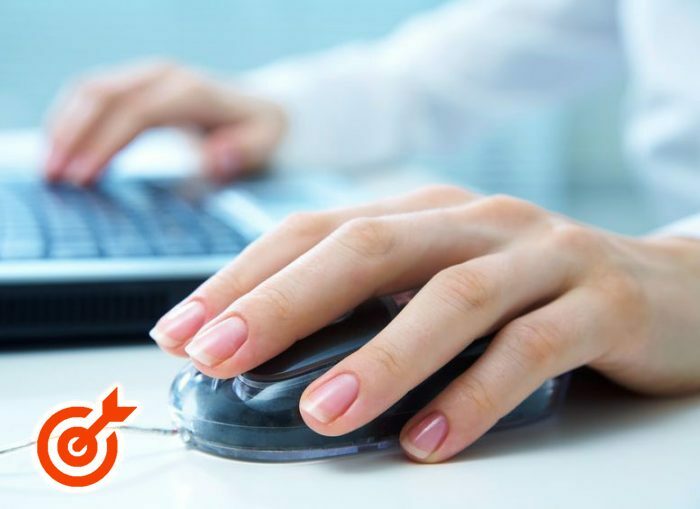 This static grip occurs when the user is moving the mouse, and also when the mouse is at rest. 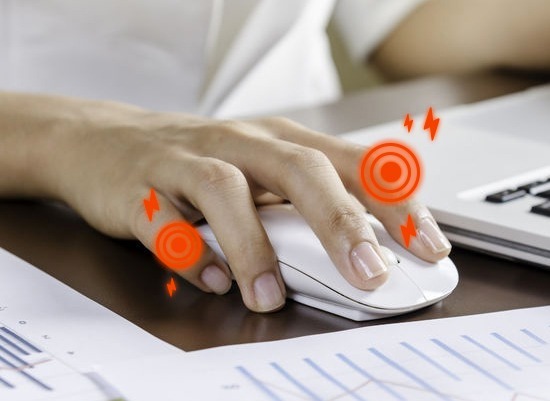 This unnecessary force results in a static load which can cause pain to radiate up the hand, wrist, and arm and can lead to repetitive strain injuries. 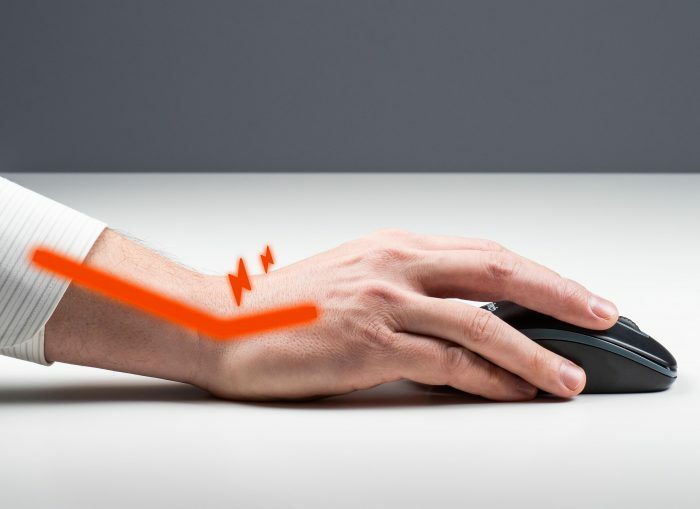 The DXT mouse does not encourage static gripping or “pinch grip” by utilizing the low power producing instrinsic muscles of the hand and creating accuracy through fluid, dynamic movement. 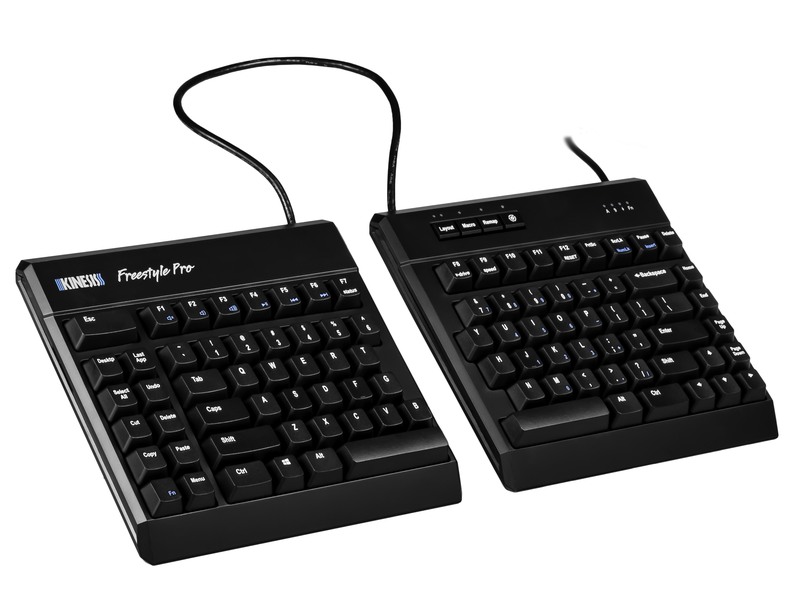 Furthermore, excessive gripping is not even allowed due to the DXT’s ultra light button click force of 50 grams which allow users to hold and operate with a feather-light touch from a fully relaxed hand and finger position. Many conventional flat mice cause the wrist to make contact with the work surface causing it to bend upward. Wrist extension creates static muscle tension, reduces blood flow, and puts pressure on the median nerve which can lead to Carpal Tunnel Syndrome. 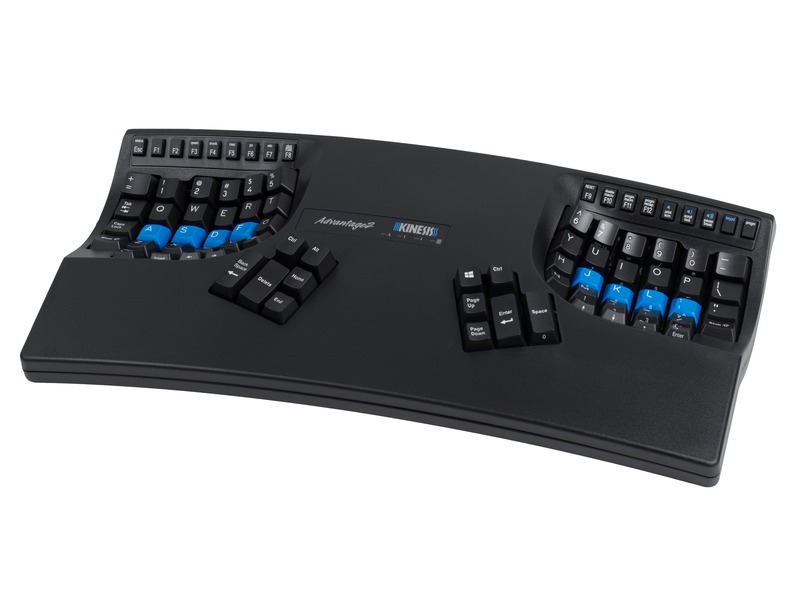 The DXT’s semi-vertical design eliminates all wrist surface contact which allows a more natural and intuitive wrist posture for relaxed and precise control. Most conventional flat mice fill the whole hand. 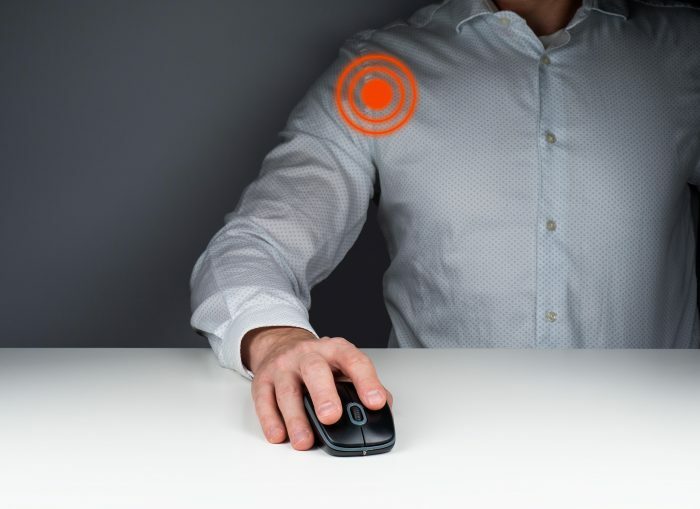 “Whole-hand” mice force movement and cursor control up to the shoulder which is designed for large power movements, not the precison control that mousing requires. Forcing and isolating movement to the shoulder can lead to both neck and shoulder tension. 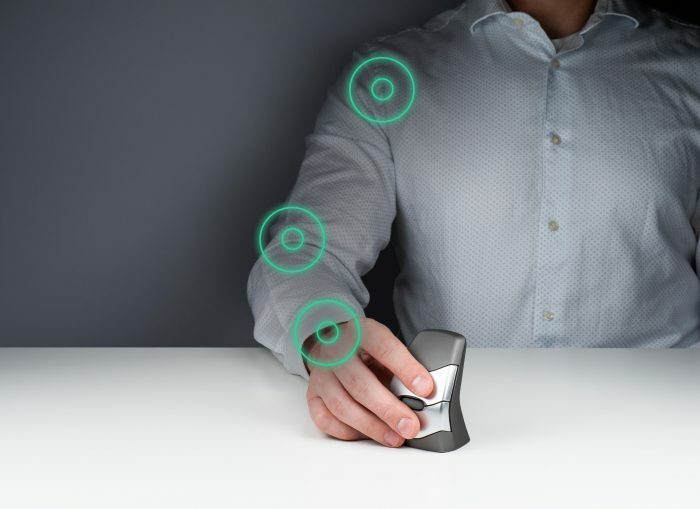 The smaller DXT mouse spreads the load of moving the mouse throughout the entire arm and hand, reducing stress on the shoulder and neck allowing the hand, elbow and shoulder to work in synergy. No part of the limb is completely isolated. No matter how adept you are at mousing, their is a limit on the precision that can be achieved with shoulder control. The DXT is grasped in the fingertips and engages all the muscles from shoulder to fingertips, to work in synergy. 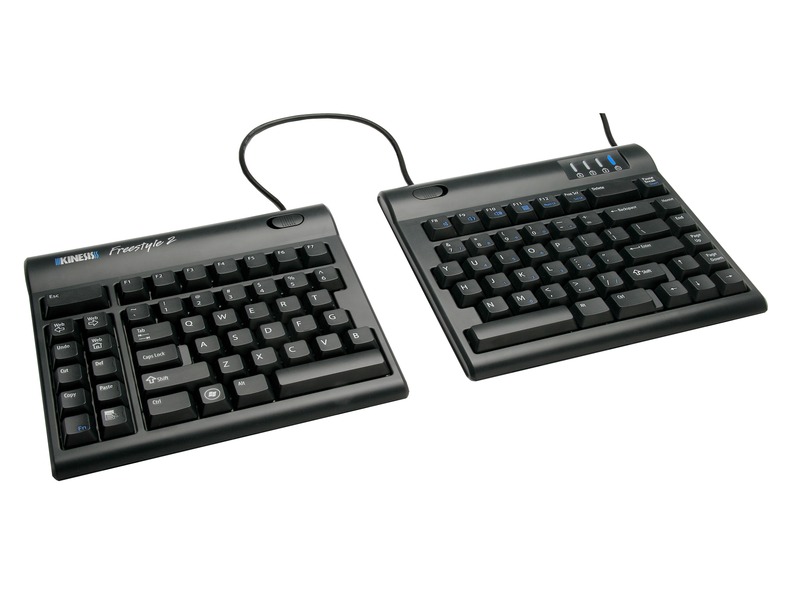 Since fingers have a naturally high degree of dexterity, this allows for greater accuracy and control with more precise cursor movements. Secondly, even though it’s small, the DXT is not hand or finger size dependent. Consider how both small children and large adults successfully use the same sized pens and pencils to write. Why? Because both are using their fingers to hold the pen and not holding it inside the hand. 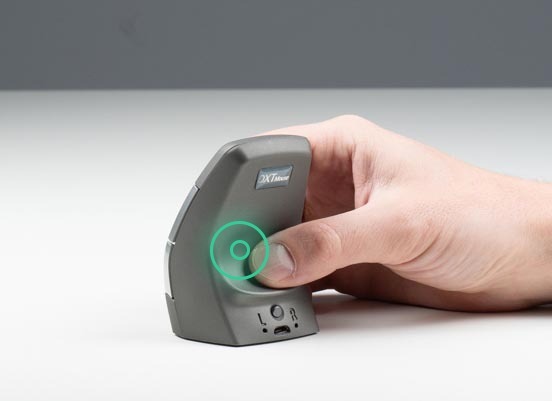 It’s the same concept with the DXT where small, average, and large hands can be equally comfortable and accurate.